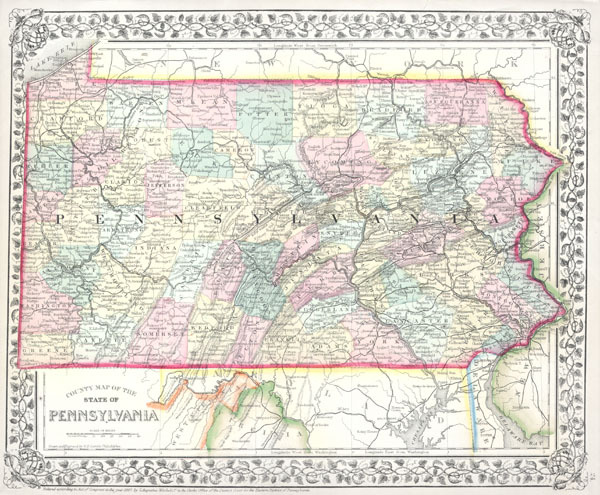 This is a hand colored map of the state of Pennsylvania by American map publisher S.A. Mitchell, the younger. The state is shown in considerable detail with special attention being paid to county divisions, cities, and railroads. Map is dated and copyrighted, 1867.